It's slightly daunting approaching the mid forties - so I really wanted to be in better shape and generally feel healthier. I'd slipped into some bad eating habits - particularly around snacking (picking, finishing off children's left overs etc). A friend recommended the programme, and with summer holidays approaching so decided to give it a go. I've never really dieted and have never been tempted to try any 'fad' diets. I'm working Mum with two children so life is very busy - so it had to be something that would fit in with my lifestyle. Starting the 8 weeks, I was a little nervous but keen to find something that worked for me. I knew it might be tricky to fit in the recommended exercise but the meal planning wasn't too much of a problem as I already did that to some extent. I really enjoyed the closed Facebook group, a very friendly group - all at different stages of their own plan. It makes such a difference having support. The Facebook group gave me some good ideas for meal planning and together with the recipes on the website and some really good articles on nutrition I found I could easily plan a week's meals that were filling and tasty, I was never hungry. I made a number of substitutions for the healthier options. It was easy to do and managed to get portion control (another issue it transpired under control) and cut out all the bad snacks that really were just a habit. Advice and support from other ladies and Lorna was great throughout the programme. The exercise was good - I liked both the podcasts and bootcamp videos - its nice to mix it up and have the flexibility. 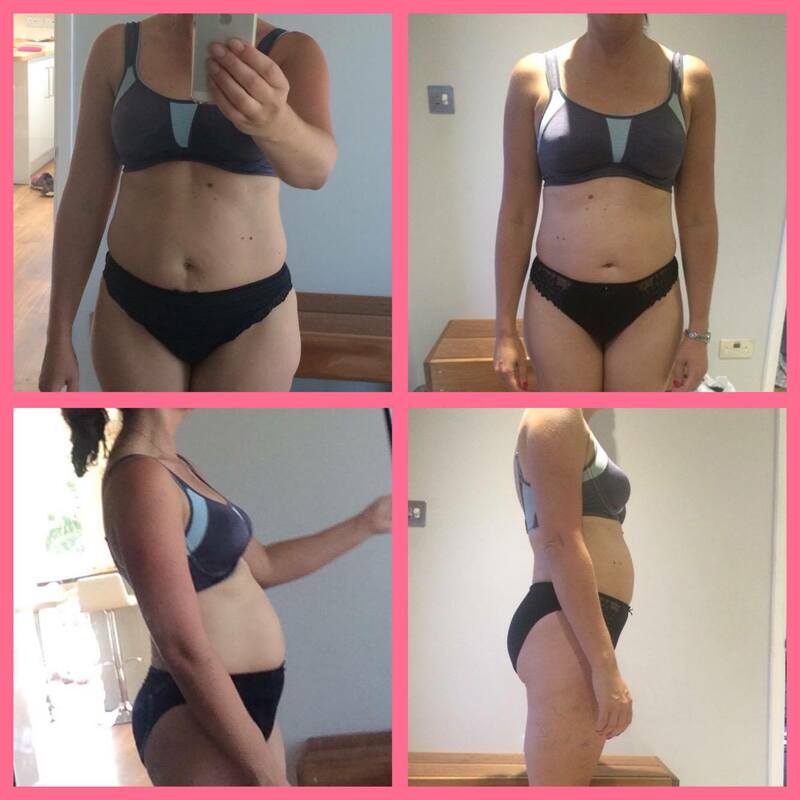 I went into this keen that it would be a permanent lifestyle change (I dont do fad diets) and something I could sustain, and pleased to say that it is - I have maintained this, love the clean eating (so do my family) and don't feel guilty about having a glass of wine. It's the fittest I've felt for many years (probably pre-children). Overall - I lost some weight (3.8kg) - but for me, its not really about the scales - more about how I feel and the measurements - which I think are a much better guide (2 inches round my tummy, 3 inches round my thighs and dropped a dress size and overall improved fitness), and I am now very much enjoying the compliments - people have noticed! Total CM's Lost Lots of inches and one dress size! My advice is to anyone thinking about joining - DO IT! and enjoy it - it was for me life changing. I think if you are committed and embrace the meal and exercise planning you will see results even after a short period of time. Were you inspired by Carole's story? If so why not start your own journey?